In this market you need the fastest acting, most consistently up-to-date Realtor® in the business. I give you friendly, loyal and professional personal attention; meticulous in every detail. 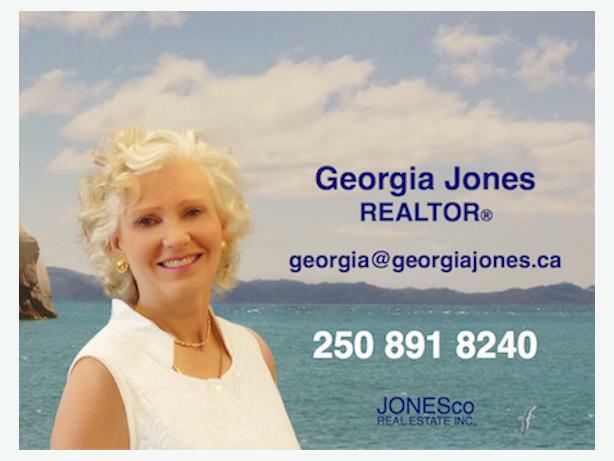 Whether you are buying or selling, from Victoria, Land's End near the Swartz Bay ferry, or as far north and west as Courtney or Ucluelet, every dream you have of your new home can be fulfilled. It's as easy as a phone call away. Phone or text me directly : 250-891-8240. If you prefer email use georgia@georgiajones.ca . I will reply in less than a day.